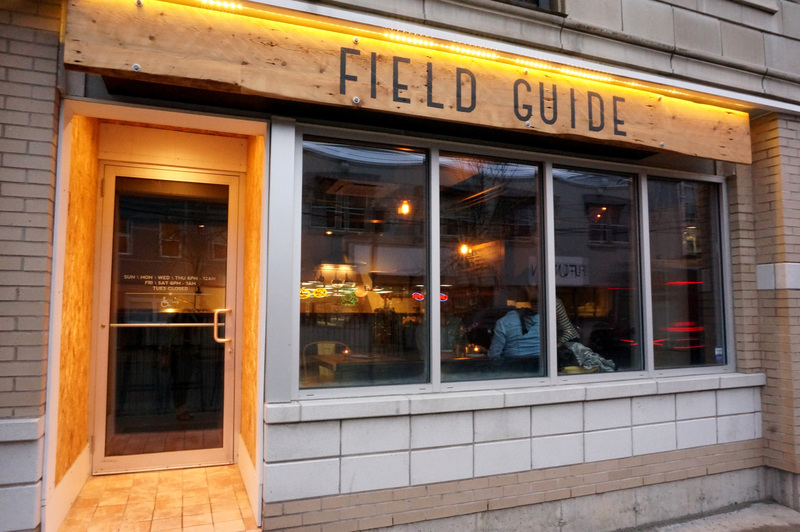 Field Guide is a small but unmistakable spot on Gottingen Street that debuted late in 2013 amongst the flurry of openings in the North End this past Fall. Owners Ceilidh Sutherland and Dan Vorstermans cleverly named their restaurant as a means of ‘guiding’ patrons through their diverse offering of local and seasonal ingredients on small plates with big flavours. The decor of the restaurant is sparse, industrial, and just plain cool. 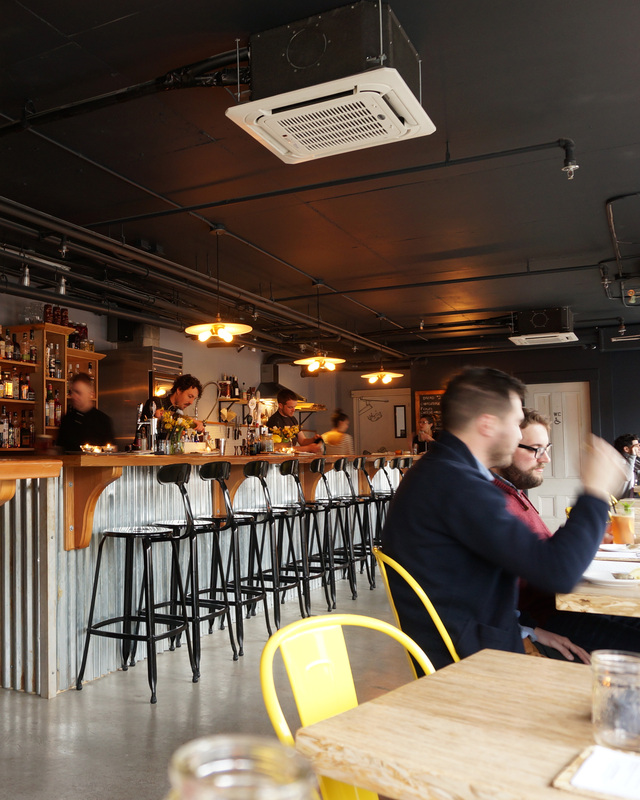 The warm wooden tables and benches are paired with bright yellow chairs, and the bar that encloses the open kitchen is clad in corrugated metal. 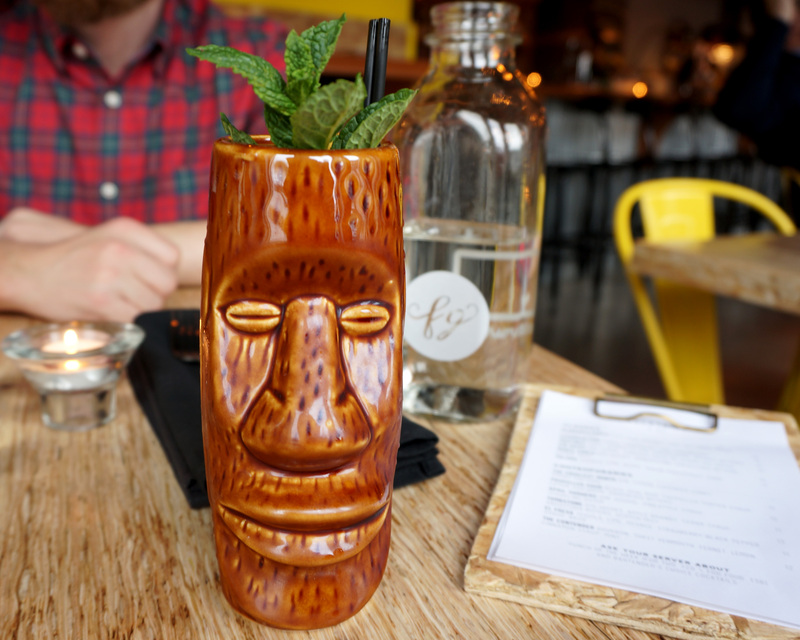 The kitchen is simple, the food is simple, and the drinks are pretty darned fancy. Our evening, like most evenings out, started with cocktails. Adam went with a pint of Propeller IPA ($7), and I chose the Planter’s Punch ($12). I’ve actually tried this delicious gingery number at Field Guide before and had to order it again. To my surprise, it arrived at the table in a cute little Tiki mug, which I thought fitting for the retro style of this classic cocktail. The Planter’s Punch was as delicious as I remembered; gingery, sweet, and the perfect hint of mint and citrus to balance. If you don’t like to share food, this place is not for you. The current menu (it changes often) is a plethora of small plates featuring cheese, charcuterie, oysters, and a variety of steamed buns to please your palate, but there are very few full meal options. Field Guide is for tasting, sampling, and exploring local ingredients in small but delicious bites. The Lamb Prosciutto ($6) was our first sampling of the evening, and man was it tasty! The prosciutto was made next door by Charcuterie Ratinaud and was cured to deliciousness. Super light, but maintaining that earthy and hearty taste that lamb is known for, it was served with arugula and pickled mustard seeds which had a great pop of flavour. The sour-dough bread that accompanied is made in-house, and is amazing! 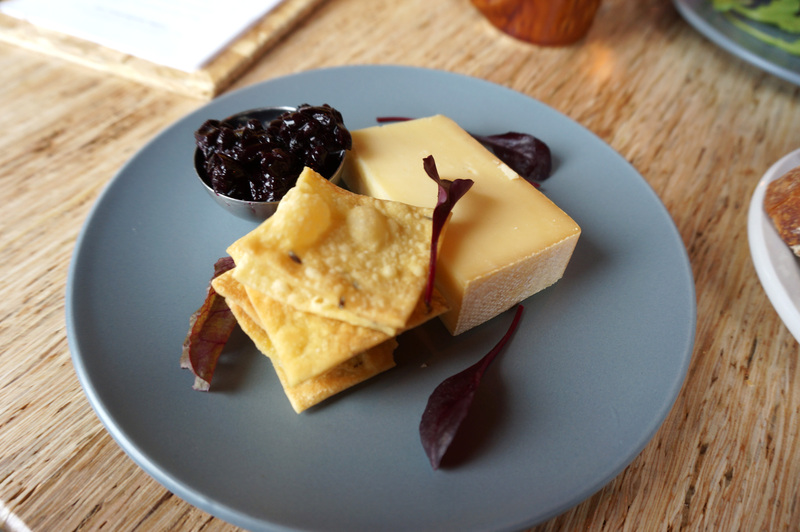 Of the two cheeses being offered we chose the Hercule de Charlevoix ($5), a nutty hard cheese that was served with house-made blueberry chutney and delicious little crackers. The blueberry chutney paired perfectly with the cheese, and it’s oniony undertones made the chutney a real stand out for the whole evening: After the cheese and crackers were gone, I ate the remaining chutney with a fork! More cocktails! 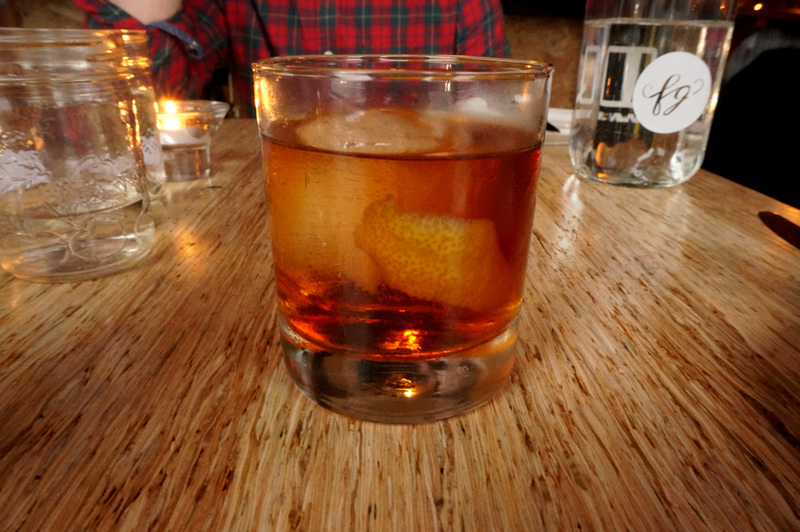 This time, Adam went with a Monte Carlo($12), a classic whiskey-based cocktail. In addition to the list of classic and contemporary cocktails crafted by head bartender Shane Beehan (and advised upon by Jeff Van Horne), there is a great wine list featuring local and beyond, as a well as an extensive local craft beer offering. I chose the Propeller Sour ($12) and wow was I surprised by the deliciousness of this drink. 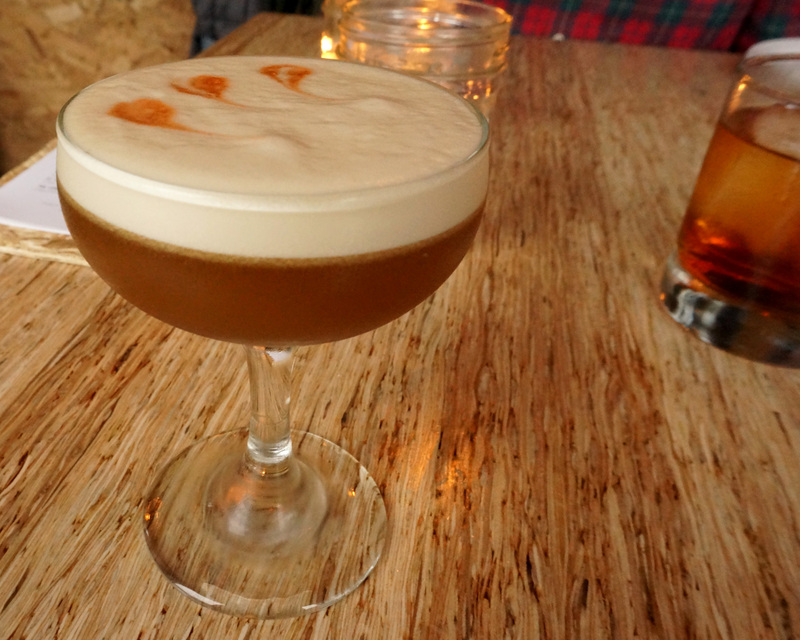 The rum-based cocktail is topped with egg white and is flavoured with chocolate bitters AND a syrup that they make with Propeller Porter! Talk about using local ingredients in unique ways, delish! Our final plate of the evening was the Sloppy Joe Steamed Buns ($10) which were served hot and fresh to order. The buns were super fluffy and light, and the filling was sloppy, delicious and flavourful; a classic childhood favourite elevated to a food lover’s delight. Other offerings for the evening included Deviled Duck Egg ($9), Brisket & Hash ($17), and their ever popular Donair Steamed Buns ($10). 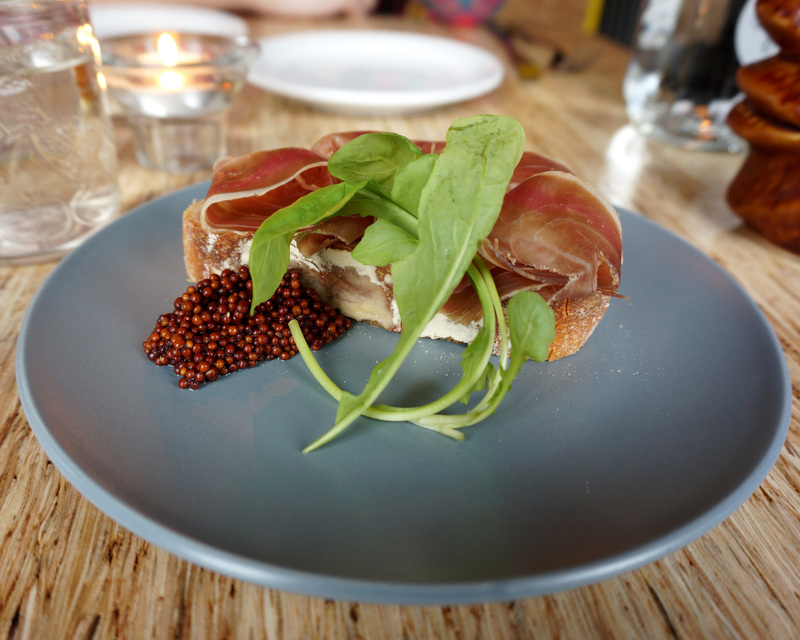 Field Guide is super affordable, with a showcase of local food that is fresh, simple, and tasty. 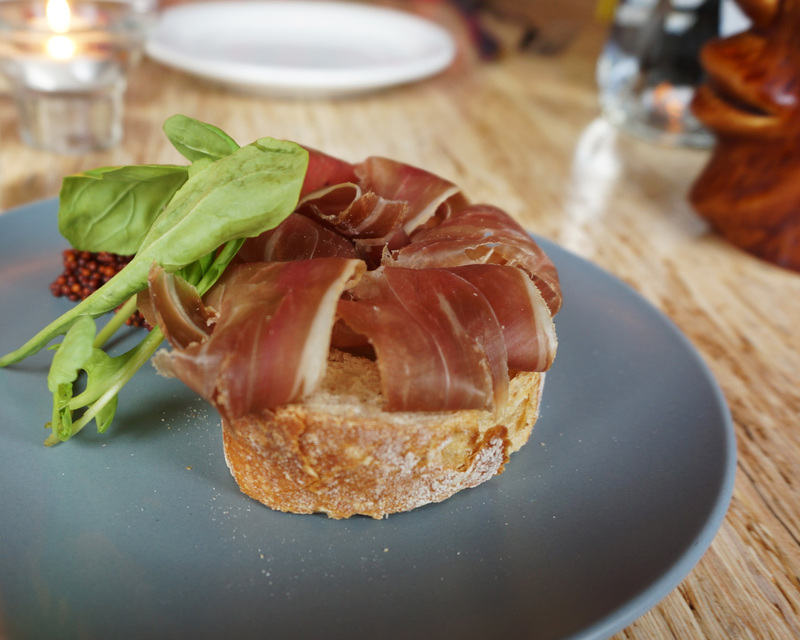 The casual and urban feel to this place is awesome, and with great cocktails and great charcuterie, how can you miss? 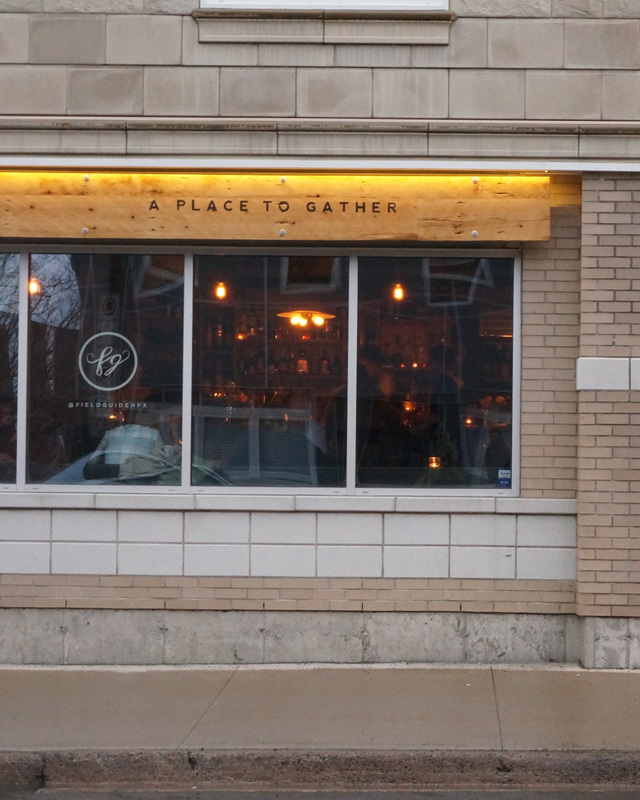 This place is perfect for date night, or for a night out with friends who love to nibble great local small plates. Well done.